10 Strand Opal and Mandarin Garnet Beaded Necklace is of exquisite 18 kt Yellow Gold. 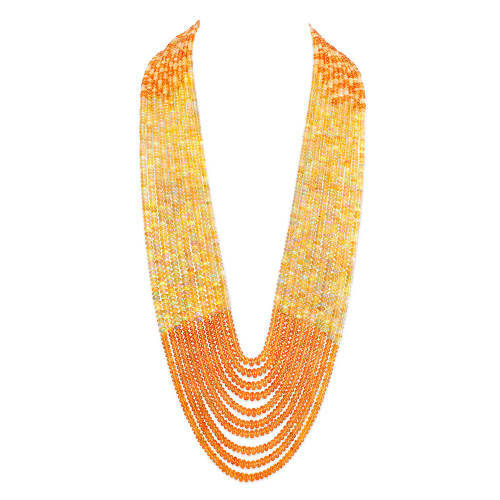 Sold by: Erica Courtney, Inc.
10 Strand Opal and Mandarin Garnet Beaded Necklace is of exquisite 18 kt Yellow Gold. It also has 360 ct Opals, 640 ct Mandarin Garnet, 0.56 ct Diamonds in a beautiful setting. The mesmerizing design looks adorable and elegant.